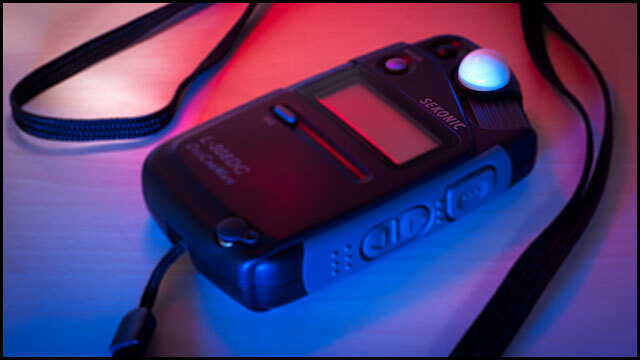 Recently, I've had to use gels on my flash for both color correction and for effects. somehow label the gels so you'll be able to figure out which one is the full "Color Temperature Orange" and which one is the 1/2 "Color Temperature Orange" during the pressure of a shoot, in the dark. Your flash puts out light that is pretty close to the color temperature of 5500k. So if you go into an office and want to use it to augment light coming from overhead fluorescent panels (which are kinda green if you shoot them with Daylight white balance instead of Fluorescent white balance), you may find a mismatch that can create color casts somewhere in the image. Or, if you go into someone's living room and want to add to the light coming from their table lamp (possibly balanced for 3200k) you will have to choose to set your white balance to match your flash or to match the lamp -- which can mean either a blue or yellow cast in some areas of the image. Put a gel on your flash to match it to the existing light in the space. Then, you can set your white balance to match. In other words, in an office you would make your flash a bit green to match the greenish light fluorescents put out, and set your white balance to Fluorescent. In a living room, you would gel your flash to make its light close to 3200k color temperature, so it matches the living room lamp, and then set your white balance to "Indoor" or "Tungsten." 1. Get a Honl Speed Strap. This is just a strip that wraps on the head of your flash -- it's basically one size fits all for any hotshoe flash -- and that gels can be Velcroed to. 2. Get a set of Honl Color Correction Gels. These come with a two of each of the important gels for making your flash match the conditions you'll find in the world. They attach quickly and easily to the strap, and take up almost no space in your camera bag. Adding flash to an office shot? No problem. Adding flash to a living room shot? No problem. Purposefully warming up a shot? No problem. 3. Later, get a set of Honl Color Effects Gels. Then, you can spend hours in the dark, playing with light. As an example, the image on this page was made with a "Bright Red" gel and a "Just Blue" -- I set my camera on a tripod, darkened the room, set my aperture to f/11 and the shutter speed to 8 seconds. I held my flash in my hand and then manually fired it in varying positions -- set on low power -- a few times with each gel.